The Pfalz is a very warm and sunny region, often called the “Tuscany of Germany,” so all of the Pinot varieties do well here. 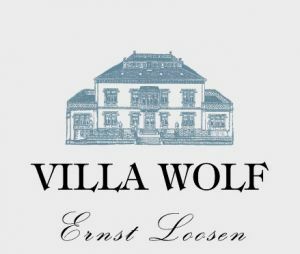 The Villa Wolf Pinot Noir Rosé is a true rosé, made with a brief maceration before pressing to extract color. It is light and refreshing, with deliciously bright berry and fruit flavors and a clean, zippy finish. Fresh, fruity and light with plenty of red berry fruit and a crisp finish, this slips down very easily. Best Buy - While dry in style and subtle on the nose, this fruity fresh rosé offers loads of concentrated raspberry, melon and peach flavors. Light on its feet and imminently quaffable, it's an irresistible warm-weather sip at an approachable price.